We recognize that your privacy is important. This document outlines the types of personal information we receive and collect when you visit and use www.crestjewel.com and some of the steps we take to safeguard your information. We hope this will help you make an informed decision about sharing personal information with us. Crest Jewel strives to maintain the highest standards of decency, fairness and integrity in all our operations. Likewise, we are dedicated to protecting the privacy of our customers and our online visitors. 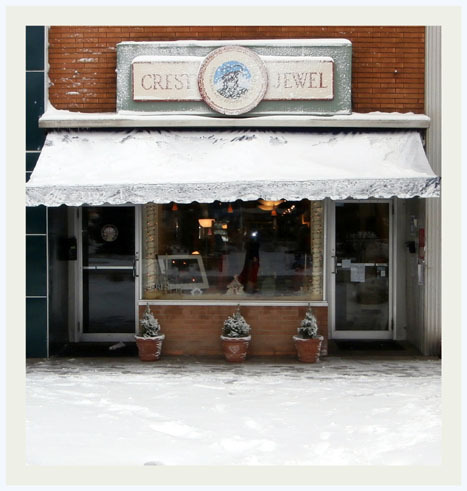 We collect personally identifiable information from the visitors to www.crestjewel.com only on a voluntary basis. Personal information collected on a voluntary basis may include your name, postal address, email address, company name and telephone number. This information is collected if you request to receive Information from us, if you participate in a contest or sweepstakes, or if you sign up to receive emails from us or request some other service or information. The information collected is internally reviewed, used to improve the content of our website, notify our customers of updates, and respond to visitor inquiries. Once that information is reviewed, it is discarded or stored in our files. If we make material changes in the collection of personally identifiable information we will inform you by placing a notice on our site. Personal information received from any visitor will be used only for internal purposes and will never be sold or provided to any third party. The purpose of a cookie is to tell the web server that you have come to the site for the first time, or have returned to a specific page. If you register with any of our site's services, a cookie enables www.crestjewel.com to recall your specific information on subsequent visits. You have the ability to accept or decline cookies by modifying settings in your browser. If you choose to decline cookies, you may not be able to fully experience the interactive features of our site. Browsers can be set to accept or reject cookies automatically, or notify you when a cookie is being requested. Privacy software can also be used to override web beacons. This website is directed primarily to adults. It is not directed to children under the age of 13 though we do offer gifts purchased by adults that are appropriate for children under the age of 13. We operate our site in compliance with the Children's Online Privacy Protection Act. We will not knowingly collect or use personal information from anyone under the 13 years of age. In some cases, we may collect information about you that is not personally identifiable. We use this information, which does not identify individual users, to analyze trends, to administer the site, to track users' movements around the site and to gather demographic information about our user base as a whole. The information collected is used solely for internal review by Crest Jewel and we do not share that information with other organizations for any purpose. If www.crestjewel.com is ever sold, the information we have obtained from you through your voluntary participation in our site may transfer to the new owner as a part of the sale in order that the service being provided to you may continue. In that event, you will receive notice through our website of that change in control and practices, and we will make reasonable efforts to ensure that the purchaser honors any opt-out requests you might make of us.